Entrance is on the second floor. Limited indoor seating, but rooftop is covered & heated. Let me open with a combination disclaimer/exclamation. This review is based on one visit, so some of the descriptions are a little sparse, but the food was so great, I am already planning a second visit! 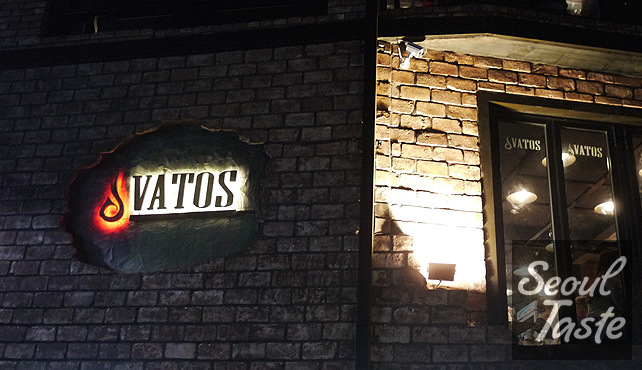 Vatos just opened recently (November 2011, I believe) but the food is already solid and when we arrived, the place was packed. Granted, it was prime dinner time on Saturday night, but that's still a very promising, especially given that Vatos is located off the main drag, accessible only through your choice of several sketchy-looking alleys. The restaurant itself is a little cramped, although after eating we discovered that they have a fantastic roof seating area, fully enclosed and heated (포차-style). The kitchen is small, and with a full house, I figured our food might take some time (and it did), so we started with an order of chips & salsa. 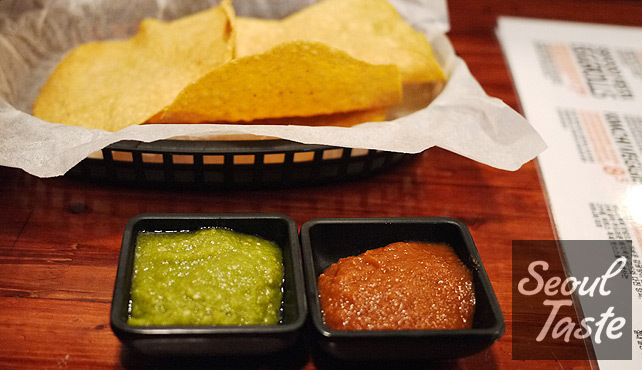 The salsas taste great and have the right amount of heat (both are spicy). The trouble is, the chips are gigantic, so you can't possibly dip them into the little dishes. Easily solved, I suppose, by breaking the chips into little pieces. You can also pass some time by sampling their impressive drink menu. The bar space is actually a bricked-up balcony (without which the restaurant would be even smaller!) but looks great. You can see on their blog how their space came together. The Bloody Mary is Annie's drink of choice (there is also a Bloody Maria, with tequila instead of vodka), but the Dos-arita also looked fun. A raft of them were delivered to the table next to us, each "garnished" with a still-full bottle of Dos Equis inverted and parked inside. 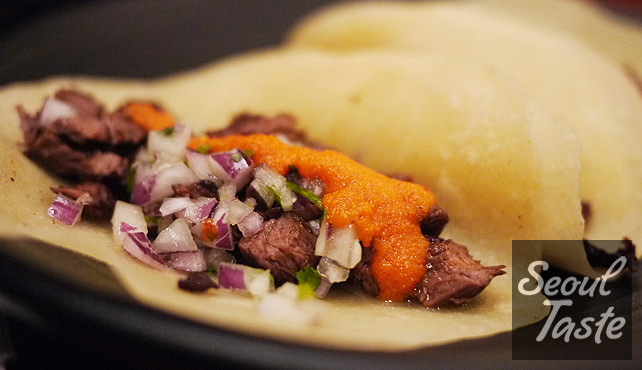 Carnitas (pork) and carne asada (beef) are two classics, and Vatos serves up fine examples of each. 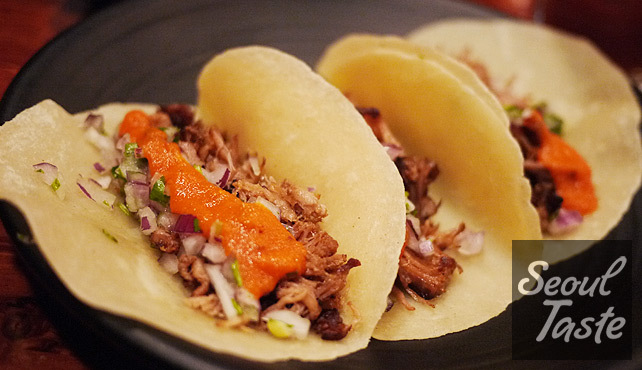 Of the two, carnitas was Annie's favorite. Aside from the choice of meat, both are identical, topped with fresh onions and a delicious, spicy (and bright-colored!) sauce we have yet to decode. The tortillas are of the small, palm-sized variety (Mexican-style). They appear to be flour-based and made in-house, and do a good job of holding everything together (better than corn tortillas, which lack gluten to make them stretchy). More details on the tacos themselves after we go back a second time. 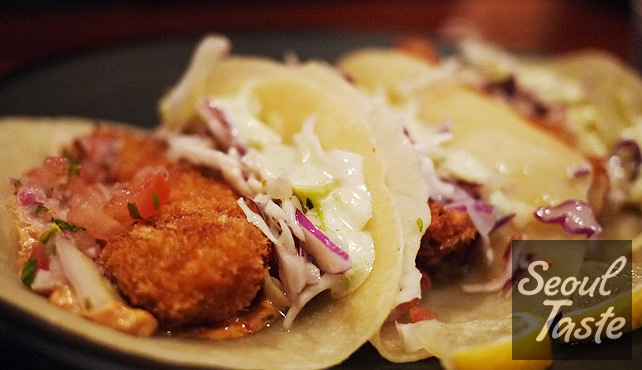 The fish tacos are a December special, but I hope they end up keeping them because fish tacos are my favorite! The presentation was a little bit of surprise, as they came out looking like fish sticks (bread crumbs instead of batter), but tasted fantastic anyway. They had a great blend of spicy sauce, pico de gallo and coleslaw. Just in case they do go away, I am going to make sure we return this month just to have these again. Food: 5/5 - Taco heaven. Prices are good, but keep in mind that they just opened, this aspect could change over time. Service: 5/5 - Friendly and attentive staff. As far as I can tell, they are all native English speakers. 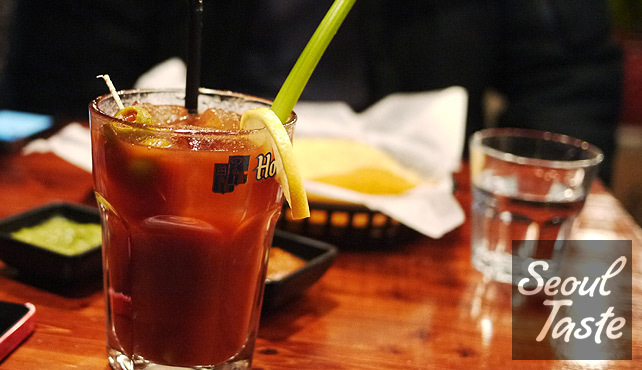 Food can take a little while to come out, try some of their excellent drinks & appetizers while you wait. Atmosphere: 4/5 - A few things to work on (such as table layout, our table was sort of under the bar), and it was a little chilly (which I liked, but others may disagree), otherwise quite nice. The covered & heated rooftop seating looks fun, we will try that next time.